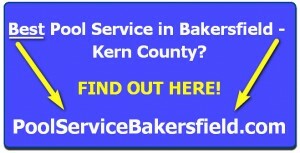 Pool Repairs and Leak Detection – Bakersfield | The Best Pool Service in Bakersfield?? Pool Repairs of any kind at any time can be an exhausting process for the pool owner. You might find it simpler to locate a good pool service in Bakersfield who can handle that pool hassle. “I’m having to add water to my swimming pool every week. Do I have a leak?” Depending on the climate in your local area, it is not unusual to be losing a 1/4″ of pool water a day due to evaporation. This means almost 2″ a week! The biggest factors affecting this are humidity, wind, and air and water temperature. Now let’s find that leak! Fill the pool to its normal level and mark it. A piece of duct tape is ideal for this. Next with your filter system running the whole time, wait 12 to 24 hours and measure the loss of water. Then refill the pool back to the same level and with the filter system off, wait the same amount of time (also over the same part of the day, ie. 8 AM to 8 AM or 7 PM to 7 AM) and measure the water loss. If you are losing more water with the filter system running, the leak is on the pressure side of your plumbing somewhere PAST the impeller of the pump. If you are losing less water with the filter system not running, the leak is on the vacuum side of your plumbing somewhere BEFORE the impeller of the pump. Please note that in this case, most of the time the pool only loses water when the system is off and not when it’s on. If the water loss is the same, then your leak is in the structure of the pool and not in the plumbing. Let’s deal with a leak in the plumbing first. We will assume that there is not an obvious leak (one that you can see) on the filter system. Did you check where your backwash line comes out? There are two ways to find this leak. First, you can pressure test the lines, then dig, following the leaking line till you find it. You can also call in your local leak detection service. We would highly recommend the latter, unless you like to dig. Professionals will use “geophones” to listen for the leak and only dig where necessary! Now lets look at a leak in the structure of a concrete pool. You will need some food coloring for this, and you will want to turn off the pump at least an hour before you do this. In a concrete pool, any cracks in the shell are usually obvious. By squeezing out the food coloring near the crack, you will see the crack pull the food coloring in. That will show you where the pool is leaking. Yes, you may have to get in the pool to do this, but isn’t that why you got the pool in the first place? If there are no visible cracks, you will want to squeeze out the food coloring around any of the items that pierce the shell of the pool (main drain, returns, lights, etc.). Be sure to check the “mouth” of the skimmer where the plastic of the skimmer meets the concrete. This area is very susceptible to movement and often separates causing a leak. Once the leak is found, it is easy to fix using a patching material. Most of them will work under water. After patching, check again with your food coloring to make sure you plugged the leak. Please note that if you patch near a fitting, you will want to leave the pump off while it cures, so the flow of water doesn’t wash the patch away. What if you have a vinyl pool with a leak? A leak can be a little harder to find and fix in a vinyl pool, but it’s not impossible. We would recommend that you first check around all the items that pierce the liner (main drain, returns, lights, etc.). If you find that the liner has pulled away or is leaking behind a fitting, we would STRONGLY recommend that you call in your local pool professional at this point. If you mess this repair up you could easily be looking at a new liner! If you do not detect a leak around the fittings, you will need to search the liner itself. A lot of vinyl liners have a pattern on the walls or bottom which can make it difficult to see a hole. Sometimes by running your hand over the floor and walls you may feel a tear or puncture that’s not easily visible. If you have a friend who is a diver, he or she can do the job a lot easier with a tank than you can by holding your breath. Note: only certified divers should be using diving gear, even in a pool. Sometimes there is a depression on the floor which might indicate erosion caused by the flow of water. After finding the leak it is an easy matter to patch, using a vinyl patch kit and following the directions. This entry was posted in Pool Service Ideas-Articles and tagged bakersfield, best pool service bakersfield, ca pool service, ca. pool cleaners in bakersfield, ca. 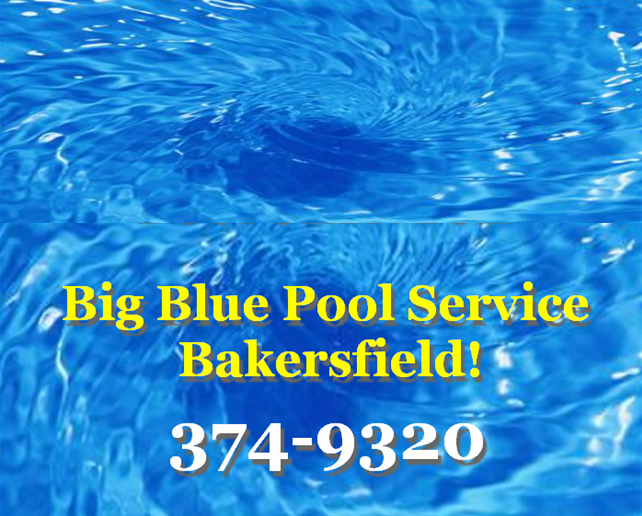 pool service in bakersfield, commercial pool service bakersfield, dependable pool service bakersfield, inground pools bakersfield, pool maintenance bakersfield, pool service and sales bakersfield, pool service and supplies, pool supplies bakersfield, vinyl pools bakersfield. Bookmark the permalink.